Apart from what we wrote about the Nikon 99X - 4500 series - the cameras with a hidden and turning-barrel lens, they sport one more advantage. Any modern camera of this series can be supplemented with a removable optical system, light, blends for the display, rechargeable and power supply units etc. 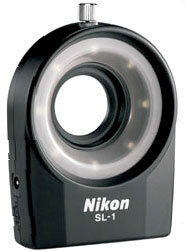 The company provides accessories for almost all cameras from entry-level to professional ones. 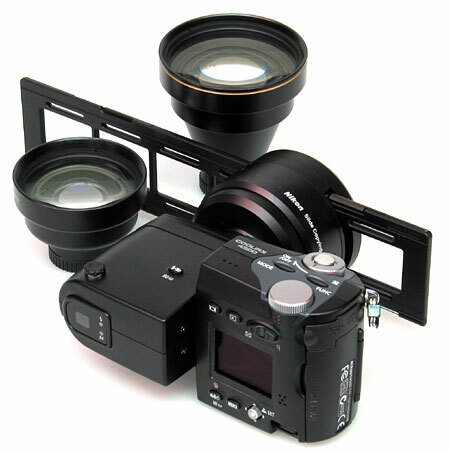 There are also adapters which allow attaching accessories from one camera to another (adaptive rings, fasteners of optical systems to the lens, grips for flashes). Their price is not that high, but the whole set might be equal in price to 2 - 3 cameras. 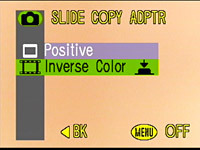 Blend for the LCD of HL-CP10. MACRO COOL-LIGHT SL-1 - macro flash on 8 white LEDs. Works from 2 to 12 cm. Up to 6 hours on two Li batteries CR2. It connects to the lens. Useful for dentists. SK-E900 holder for external flashes with a sync cable. Remote control cable MC-EU1, 0.8 m. Useful thing considering that the camera's timer works with the macro mode priority. You can affix a wide-angle, telephoto, fisheye and a slide adapter. But it's not always necessary to have a certain attachment written in the menu, and it's possible to work with decent optical systems by simply attaching them to the lens. You can even use optical systems from video cameras of third parties (via the adapter of thread 28). Standard attachments for the thread 28 mm. Slide adapter ES-E28, tele converters TC-E2(2X) and TC-E3ED(3X). Also included as standard: fisheye FC-E8 and wideangle WC-E63(X0,63). 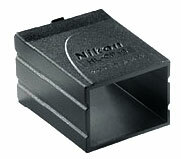 Wide-angle attachment WC-E68(X0,68) is attached with the adapter UR-E7. The attachments chosen in the camera's menu change some shooting settings automatically (zoom range, contrast etc. 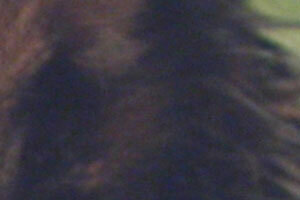 ), that is why when choosing a certain attachment check whether the camera's image is improved. 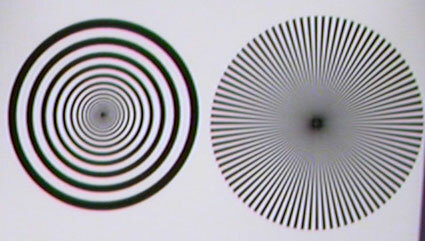 The tested attachments work like a telescope with direct (not inverted) image. 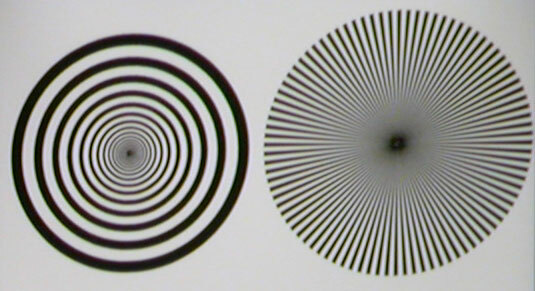 Quality of the optical system was estimated by the circular resolution chart in the center and on the edge. We drew the histograms of the circular resolution chart's section for each fragment with the Levels program of Dmitry Kuznetsov. 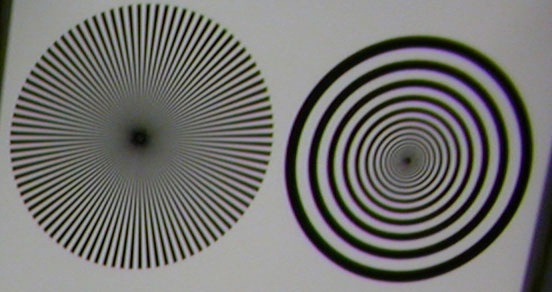 Three sections were chosen: along the frame's center horizontally, on the edge horizontally (at "3 o'clock") and at 45 degrees from the vertical line (counter-clockwise - i.e. along the frame's diagonal from the center). 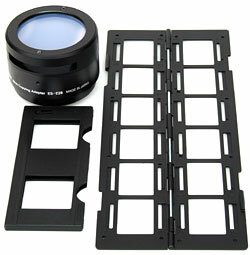 The table shows fragments and shooting conditions for three positions of the lens (wide angle, middle, tele) without the attachments and with them. For the attachments the characteristic position the data are given for is the extreme one "toward" the attachment factor. So, if this is a tele attachment, then it will be the extreme tele position, if it's a wide-angle one - then the extreme wide-angle position. The relative position of the resolution chart's center is given as well (ratio of the distance from the frame center to the chart center to the half of the frame diagonal). 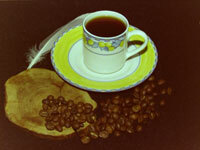 All the shots were made at ISO100, white balance - manual (light source), aperture - about 8, TIFF 2272*1704 file. 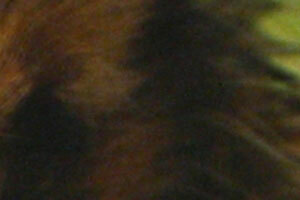 The histograms are given at 1:1, as provided by the Levels, i.e. ignoring changes of the chart's radius in different frames, that is why the table gives this radius in pixels and, for estimating distortions on the frame's edge, the ratio of the maximum visible radius of the circular resolution chart to the minimal one (d) and resolution as a radius in pixels with the first discernible pair of the resolution chart's circles. 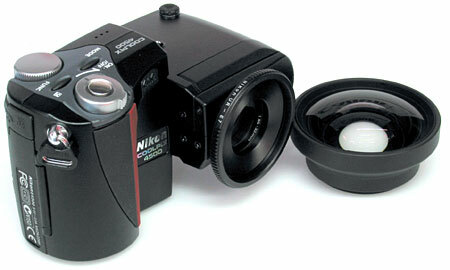 The lens is 4x Zoom-Nikkor 7.8 - 32 mm (38 -155 mm for the 35 mm format). Symbols: f - focal length, mm (for the 35mm camera in parentheses), R - relative distance from the chart center to the frame center (relative to the half frame diagonal), r - chart radius (in the fragment's section), d - distortion (major diameter to the minor one), R* - resolution (pixels). Fragments of the resolution chart on the frame edge. As you can see from the fragments of the resolution chart and histograms, the removable optical attachments do not worsen lens's optical properties much. 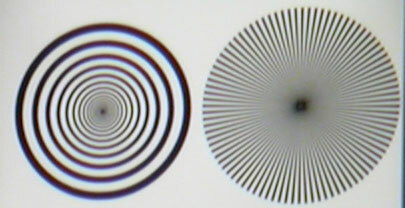 The drop in resolution is almost unnoticeable, and the defects are primarily geometric and chromatic aberrations. 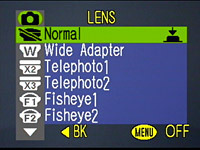 The 3X tele converter is marked as ED because it uses lenses made of Extra low Dispersion glass, and it copes better with the chromatic abberations than the 2x one. The worst image is made with the wide-angle attachment WC-E68 - both the distortion and chromatic aberrations are noticeable. 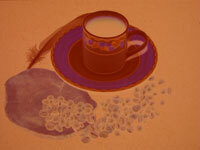 All you need to turn the camera into a scanner is the adapter, a light source and a film- negative or slide. At the side ratio of 4:3 some information is lost, but by moving the slide or zooming you can focus on the important part. Moreover, the slide shift and manual stitching in a graphics editor solves the problem of getting a full frame or a frame of over 4 Mp. Two slide fragments. The slide is made with the attachment. The slide is made without attachments on the light table. Without an attachment it's necessary to eliminate the side unwanted light. 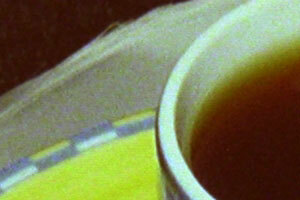 Fragment 1:1, of the ready image. Digital noise is well seen. 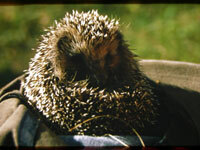 The camera with the attachments copes quite good with scanning a negative. It's better to scan into positive file right away. When converting a negative into a positive in the graphics editor the result is worse, partially because the internal conversion is made with over 24bit color, while a file of the Nikon 4500 camera is 24bit (it would be simply excellent with RAW). The dynamic range of the camera is not very wide but it suffices for most shots. If not, you can make several shots at different exposure values or light source power and then combine the shots in the graphics editor. A good scanner is certainly much better, but it's also much dearer and not so efficient in operation.